In 1931 Central China experienced a devastating flood that inundated an area equivalent in size of England and half of Scotland, affected the lives of an estimated 52 million people, and killed as many as 2 million. In Chinese this event is usually described as the Yangzi-Huai Flood (Jiang-Huai shuizai), yet the disaster was not limited to these two rivers. The Yellow River and Grand Canal also experienced major flooding, whilst there were lessor inundations from as far south as the Pearl River (Zhu Jiang), which flows through the city of Guangzhou (Canton), to as far north as the Songhua and Yalu Rivers, which flow to the north of Korea. Although the flood affected much of the country the core disaster zone was concentrated in eight central provinces. As such, it is referred to here as the 1931 Central China Flood. The ultimate cause of the 1931 Central China Flood lay in the long-term interaction between human communities and river basins. Flooding was a perennial problem faced by those living in the Yangzi region. Having occupied alluvial and lacustrian plains, agriculturalists exacerbated the natural risk of inundation by transforming the landscape. Excessive deforestation, wetland reclamation, and the over-extension of river dyke networks transformed regular flood pulses, which were an integral feature of the fluvial ecosystem, into destructive inundations, which wrought chaos upon human communities. Under favourable meteorological and political conditions the human management of river systems gave rise to a thriving agricultural economy and stable society. During periods of excessive rainfall and poor hydraulic governance, however, rising water and neglected dykes allowed rivers and lakes to reclaim the plains that had been occupied by human beings. Throughout the second millennium CE, the Middle Yangzi province of Hubei witnessed a repetitive pattern of growth and collapse, described by Pierre-Étienne Will as a “hydraulic cycle.” Later Peter Perdue identified a similar developmental pattern in neighbouring Hunan during the Ming and Qing dynasties. At the beginning of this cycle, increased expenditure on dyke networks offered communities protection from flooding, thereby facilitating widespread agricultural and economic expansion. As growth surpassed the limits of sustainability, the dyke network struggled to withstand the increased pressure. Eventually the region descended into hydraulic crisis, with low-level water control problems being punctuated by catastrophic flood disasters. These periodic crises only began to abate when the state once again began to invest in the dyke network, thereby beginning the hydraulic cycle anew. The 1931 flood formed part of a hydraulic crisis that had been unfolding in the Yangzi basin since the early nineteenth century. Although partly the result of unsustainable patterns of agricultural expansion, Zhang Jiayan argues that this crisis also reflected the entrenched political and economic difficulties experienced by governments during the late Qing and early Republic (1800s to 1928). During this period, revenue intended for the construction and maintenance of the dykes was often embezzled or redirected for military spending. This combination of unsustainable growth and systemic neglect culminated in a series of catastrophic floods, which struck the Yangzi basin throughout the nineteenth and early twentieth centuries. Whilst the roots of the 1931 flood lay in a slowly unfolding pattern of environmental history, the proximate cause of the disaster was extremely high levels of precipitation. The winter of 1930-1931 had been particularly harsh, leaving large deposits of snow and ice in the upper catchments of rivers. These frozen reservoirs melted in the spring and merged with unusually heavy rains, engorging rivers and lakes and raising the water table. In the summer China experienced an extremely powerful East Asian Monsoon. This may have been the result of the El Niño Southern Oscillation. In an average year the Yangzi basin could expect two cyclonic storms; in 1931 there were seven in July alone. These storms dumped the equivalent of one and a half times the average annual volume of precipitation in a single month. Even well maintained dykes would have struggled to cope with this huge deluge. The neglected hydraulic defences that protected human communities living alongside the Yangzi and Huai Rivers stood little chance. The catastrophic flood that struck China in the summer of 1931 was neither a natural nor a human-made disaster – it was both. By early August 1931 one of the most populous regions in the world was under water. An estimated 150,000 people drowned during the first phase of the flood. Impoverished communities living in substandard housing were disproportionately vulnerable to these immediate disaster risks. Those who survived the initial hazard of inundation found themselves facing a severe subsistence crisis. The flood had washed away the summer harvest and destroyed huge amounts of stored grain. The total economic losses were equal to one and a half year’s net income per family. In many areas inundation continued well into the autumn, meaning that it was not possible to plant a secondary insurance crop in the winter. “Flood in China and Italian Dam Burst Take Heavy Toll”. Although the widespread decline in food availability played a major role in the ensuing subsistence crisis, socioeconomic factors were also important. The flood caused the value of labour, land, and draft animals to plummet at the same time that the price of grain increased rapidly. In the short term this led to what Amartya Sen has described as “entitlement failure.” It also had a longer-term detrimental impact upon the economic prospects of many households. Those who retained access to food or credit were able to acquire the assets of their poorer neighbours at punishingly low crisis terms. In the aftermath of the flood, they sold these assets back to their original owners at highly inflated prices. In this manner, the flood not only led to an acute period of hunger but also further entrenched long-term destitution and inequality. The ongoing conflict between the Guomindang and the Communist Party amplified the impact of the subsistence crisis. It prevented relief agencies from distributing grain throughout the flood zone and delayed agricultural recovery. Famine conditions in conflict zones became so acute that some people began to engage in cannibalism. Whilst famine and malnutrition blighted the lives of flood-stricken communities, disease was by far the deadliest hazard. Widespread population displacement and the destruction of sanitation systems provided perfect conditions for a number of pathogenic microbes. Even in a country like Republican China, where refugee crises were an all too familiar occurrence, the scale of displacement caused by the flood was exceptional. Across the disaster zone an estimated 40% of the affected population were forced to leave their homes. In Southern Anhui a staggering 61% of the population became refugees. Some remained on nearby hillsides or surviving stretches of the dyke network, whilst others headed to cities in search of shelter and food. Unfortunately the physical impact of the flood was so intense that even relatively strong urban dyke networks were compromised. This meant that large cities offered little respite for refugees displaced from rural areas. When floodwater coursed into the Middle Yangzi city of Wuhan, an estimated 400,000 people were left homeless. With sanitation systems destroyed and refugees crowding into limited areas of dry ground, deadly diseases soon began decimating rural and urban citizens alike. Conditions such as dysentery, typhoid, and cholera, were disseminated directly through contaminated water or through insect vectors. Other diseases, such as measles and smallpox, proliferated due to widespread overcrowding. The flood also provided a perfect habitat for mosquitoes, which gave rise to a malaria outbreak that eventually killed an estimated 300,000 people. Growing numbers of freshwater snails caused a spike in the infection rate of an endemic wetland disease called schistosomiasis. In total, flood related diseases caused 70% of reported fatalities amongst rural families, and 87% of deaths in refugee camps. As such, they accounted for by far the largest proportion of the estimated 2 million flood-related fatalities. Government Responses: The 1931 flood was one of the first major tests from the Nanjing Government, which had established tentative control over much of the Republic of China in 1927. As rival militarists had vied for control of China’s regions over the previous decade, many of the traditional government disaster relief functions had been taken over by the Sino-foreign organisations, such as the China International Famine Relief Commission (CIFRC). For Chinese politicians the 1931 flood represented an opportunity to reassert national control over the relief infrastructure, and also to display the modern scientific approach to disaster response that would be adopted by the nascent Guomindang regime. As the scale of the disaster became apparent, the government established the National Flood Relief Commission (NFRC) under the auspices Song Ziwen (T.V. Soong), a prominent politician in the Guomindang and brother-in-law of Chiang Kai-shek. The NFRC employed a range of Chinese and foreign experts, including figures such as the famous epidemiologist Wu Liande, the health minister Liu Ruiheng, the public health worker John Grant, and the hydraulic engineer Oliver Todd. Even the famous aviators Charles and Anne Lindbergh became involved, as they were commissioned to conduct an aerial survey of the flood zone. Although Song Ziwen remained the nominal head of the NFRC, with China facing political instability and an ongoing Japanese invasion, much of the responsibility for the day to day running the relief effort was entrusted the John Hope Simpson, a British refugee expert sent by the League of Nations to assist with the relief effort. Source: Zhongyang ribao, 3 September 1931; image provided by the author. The flood elicited a generous national and international charitable response, with overseas Chinese communities providing particularly large donations. In spite of these considerable efforts by the summer of 1931 the NFRC was in dire economic straits. Initial attempts to fund the relief effort through issuing bonds failed due to the Japanese invasion of Manchuria, which had caused the bond market to collapse. Eventually, the NFRC managed to negotiate a number of wheat and flour loans from the US government. Having finally secured financial backing, the NFRC now had to distribute a huge quantity of relief throughout the disaster zone. This was a considerable challenge, not just because the flood had destroyed much of the communication and transportation infrastructure but also because China was in midst of both international and domestic wars. Ships importing grain into Shanghai had to negotiate a passage through the ships of the Japanese Navy, which were engaged in a conflict with Chinese troops in the city in early 1932. Having landed the relief grain, the NFRC then had to transport it upstream through hostile territory, where bandits and Communists attacked boats, commandeered supplies, and kidnapped relief workers. In the aftermath of the flood the NFRC was heralded as a triumph of organisation over adversity. Particular praise was reserved for the monumental labour relief project, in which 1,100,000 workers were employed to reconstruct almost 2,000km of dykes throughout the first half of 1932. The amount of earthwork conducted in just six months was said to have been sufficient to construct a dyke two metres high and two metres wide around the entire length of the of equator. The relief effort was also described as an important progressive step in establishing the legitimacy of the new government and undermining the threat from Communism. In the aftermath of the disaster, the cooperative organisations that had been used to reconstruct farming communities were adapted, becoming a central feature of the government’s rural economic policy. Whilst the assessment offered in official reports was overwhelmingly positive, in reality the relief campaign was not entirely successful. In some cases relief camps offered an improvement over spontaneous squatter settlements, yet in others refugees experienced extremely high death tolls from disease. In fact, the mortality rate in relief camps was much higher than that found in rural communities. Measles spread through one camp infecting 1,491 in December 1931 alone, resulting in 682 deaths, mainly amongst children. In another camp in Jiangxi, 2,476 of the 20,249 refugees died in just three months, constituting an annual mortality rate of 48.9%. To an extent these staggeringly high death tolls were an inevitable consequence of widespread population displacement. In some areas, however, refugees were forced into camps before adequate arrangements had been made in order to prevent them from disturbing the social and political order. In Wuhan the local military were convinced that the refugee population were harbouring Communists. As a result, thousands of people were cleared from the streets at gunpoint and shipped into camps in which the death toll from disease remained extremely high. The effect of the US wheat loan was also somewhat more ambiguous than was recognised in official reports. The huge transhipment of foreign grain was described at the time as an act of charity, yet the terms of the loan strongly favoured the Americans, who had long been seeking a means of offloading an economically damaging wheat surplus. Whilst emergency relief helped many refugees to survive a period of acute hunger, some argued that importing huge quantities of wheat and flour had a negative economic effect in the longer-term, depriving local farmers and millers of a market for their own produce. Given the overwhelming importance of rehabilitating the dyke network, the deleterious economic consequences of the relief loan might seem justifiable. Yet history was to prove that even these infrastructural improvements, which were seen as the crowning achievement of the NFRC, were not as successful as had been assumed. When the Yangzi experienced high levels of precipitation in 1935 many of the dykes in the region collapsed once again, exposing the beleaguered population of the region to another catastrophic flood. Social Responses: The official relief effort has been the major focus of most historical studies of the 1931 flood. Yet it was not the only response to the disaster. Long before any assistance has been provided by the central government, local elites in disaster-affected communities were already providing considerable relief to their fellow citizens. Guilds, benevolent societies, and religious institutions fed and sheltered huge populations of refugees, as they had during disasters throughout the late imperial period. The flood began in late spring yet the first shipments of American relief grain only arrived in Shanghai in November. Throughout the most devastating period of the disaster, therefore, low-level initiatives played a vital role in assisting refugees. The survival of members of flood-stricken communities cannot be explained simply by examining charity and relief. Flood victims employed a sophisticated repertoire of coping strategies based upon a deep knowledge of their natural and social environments. Those who lived in rural areas foraged for wild wetland food, including aquatic plants, fish, and waterfowl. Refugees who headed to cities earned money by renting out their family sampans as water taxis. Others employed more desperate strategies, begging, stealing, and engaging in prostitution. Although such responses were both socially stigmatised and legally prohibited, they helped refugees to survive a period of acute deprivation. The first history of the 1931 Central China Flood was published by the Maoist regime following the 1954 Yangzi Flood. Its purpose was both to discredit the deposed Guomindang regime and to highlight the supposed superiority of the Communist response to disasters. 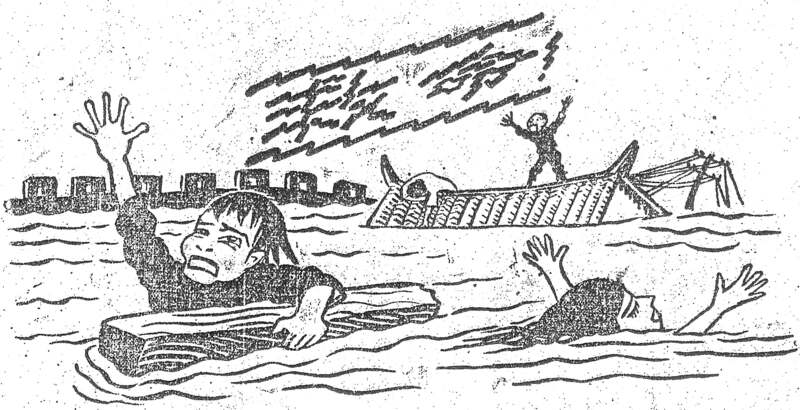 The Hubei Provincial Government published a hagiographic study entitled The Party Leads the People to Victory over the Flood (Dang lingdao renmin zhanshenle hongshui), which included photographs, propaganda cartoons, and oral testimony designed to highlight the distinctions between the bitter past in 1931 and sweet present during the 1954 floods. Rewi Alley, one of the Maoist regime’s most ardent foreign supporters, published an English language study entitled Man Against Flood, which employed a similar methodology. Outside the People’s Republic, O. Edmund Clubb’s Twentieth Century China contained one of the only analyses of the 1931 disaster. Clubb had experienced the flood personally whilst working in the American Consulate in Hankou, and was keen to highlight the devastating effects of the disaster. He estimated that approximately 2 million people had been killed nationwide as a result of the 1931 flood. Since the 1980s Chinese historians have adopted a much more nuanced approach to the history of disasters. The 1931 flood was included in an influential study conducted by a team of historians entitled Modern China’s Ten Great Disasters (Zhongguo jindai shi da zaihuang). This offered a general analysis of the environmental and human causes of disaster and described the economic and social consequences. Chinese scholars have also produced a large number of studies focussing upon local histories of the disaster. Fang Choumei had explored how a breakdown in hydraulic governance under the Guomindang left Wuhan vulnerable to inundation. Historians such as Zhang Bo and Kong Xiangcheng have focussed upon the role that local and national governments played in the relief effort. Whilst the majority of these studies offer institutional histories of the disaster, one notable exception is the work of Li Qin, who has examined the social-psychological impact of flood disasters in the Middle Yangzi region during the 1930s. Outside China, the flood has received relatively little attention. Lillian Li’s Fighting Famine in North China includes a brief description of the disaster, based primarily upon literature produced by the relief industry, in which she provides a relatively positive assessment of official responses. In Uneasy Encounters, Iris Borowy highlights the efforts made by the League of Nations to assist in the medical response to the disaster. In Saving the Nation Margherita Zanasi examines the flood relief effort as part of the broader policies of economic nationalism adopted by certain factions of the Guomindang in the early 1930s. David Pietz’s Engineering the State provides one of the most detailed analyses, including a chapter on the flood in his study of the Huai River Conservancy. Finally, Chris Courtney has examined popular religious interpretations of the 1931 flood in the city of Wuhan. His forthcoming monograph provides an environmental and social history of the disaster. The 1931 flood produced a vast range of Chinese and English language source material. The Report of the National Flood Relief Commission offers a comprehensive analysis of the relief effort from the perspective of the government. Much of the data included in this report was taken from The 1931 Flood: An Economic Survey. This was based upon research conducted by team of academics from the University of Nanjing under the leadership of the renowned agricultural economist John Lossing Buck. This survey offers a wealth of information for economic historians. Beyond these broader analyses, local gazetteers provide detailed descriptions of how the disaster unfolded in particular regions, whilst literary and historical materials (wenshi ziliao) offer oral history accounts of the flood, which have been recorded by Chinese scholars since the 1980s. The Hubei Provincial Archives collated a range of primary source material – including government telegrams, police reports, etc. – and published a volume entitled Selected Archival Materials on the 1931 Flood Disaster in Hubei (Hubei sheng yijiusanyi nian shuizai dang’an xuanbian). One unfortunate consequence of the flood was the inundation of printing presses. As a result, most available media reports were those published outside the disaster zone. Treaty port-based periodicals such as Shanghai’s Zhongyang ribao and Shenghuo and Tianjin’s Da gongbao sent journalists to investigate conditions in the flood zone . Articles on more technical issues, such a hydrology and meteorology, can be found in specialist scientific periodicals such as Shuili. One of the best contemporary journalistic accounts of the disaster is The Great Hankou Flood (Hankou dashui ji). This is a lengthy monograph published shortly after the disaster by a journalist named Xie Qianmao, who became a refugee after his home city of Wuhan was flooded. In addition to the Chinese language press, newspapers such as the Shanghai-based British-owned North China Herald provided detailed reports on the flood. 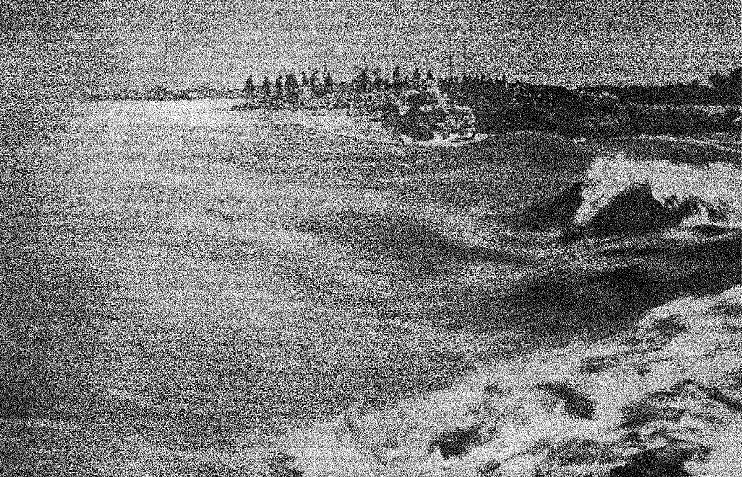 High quality photographs of the disaster were published in the Illustrated London News. The Shanghai-based Christian periodical The Chinese Recorder offers particular insight into the involvement of missionaries in the relief effort. The flood also inspired a range of cultural reactions. Probably the most famous Chinese language response was a short story entitled Water (Shui) by the acclaimed left-wing novelist Ding Ling. The American author, and later Nobel laureate, Pearl Buck wrote a series of short stories about the flood that were read on the wireless in the US in order to inspire charitable donations. A number of these can be found in a volume entitled The First Wife. A motion picture entitled Raging Torrent (Kuangliu) describing fictional events during the flood in Hubei was filmed in the aftermath of the disaster. Although there are no remaining prints of this film, the original the script still survives. Finally, Anne Lindbergh wrote a memoir describing her flight over the disaster zone, which also charts her husband’s failed attempt to provide medical supplies to flood refugees. Mortality: 2 Million. It is impossible to provide an accurate estimate for the death toll caused by the 1931 Yangzi-Huai Flood. The two figures cited most commonly are both problematic. The first is the figure of 140,000 fatalities which has been reproduced in some English language studies of the period. This is based the figure published in the first few pages of The Report of the National Flood Relief Commission, 1931-1932. This was actually an estimate of the number of people drowned, which did not account for other flood-related deaths. Elswhere the report states: “Nearly two million were drowned or killed for lack of food.” The second figure is that of 422,499 total fatalities. This is based upon a much more systematic attempt to quantify the death toll made by Chinese historians, who used a range of contemporary reports and government statistics. The authors of this study were keen to stress that because of the lack of extant data it is impossible to determine an accurate death toll. In spite of this, their estimate has become influential, and is almost always reproduced without the important caveat included by the original authors. Surprisingly, few historians have referred to the most reliable and systemic attempt to quantify the death toll at the time, which was published in The 1931 Flood: An Economic Survey. This was based upon a broad statistical survey of the flood zone conducted by a team from the University of Nanjing under the leadership of the renowned agricultural economist John Lossing Buck. The survey concluded that approximately 150,000 people had drowned in the first one hundred days of the flood, suggesting that this number represented less than a quarter of all fatalities. The biggest killer was disease, which accounted for 70% of all fatalities. The University of Nanjing study implies, although never explicitly states, a death toll of 625,000 for the first one hundred days of the flood. The burden of evidence, including that provided by the study itself, suggests that this figure underestimates the extent of mortality by a large margin. When expanded to cover the entire period of the humanitarian catastrophe, which lasted approximately one year, it would seem that the original figure of 2 million deaths published by the National Flood Relief Commission is by no means an unreasonable estimate. Geographic Scope: 181,500 km2. The flood had a serious impact upon an area of 169,000 km2, excluding rivers and lakes. An additional area of 12,500 km2 was inundated but less seriously affected. The flood zone was roughly equivalent in size to England and half of Scotland, or the states of New York, New Jersey, and Connecticut combined. The Yangzi and Huai were the most seriously affected rivers, with devastating flooding also affecting the Yellow River and Grand Canal. The core flood zone comprised the eight provinces of Anhui, Hubei, Hunan, Jiangsu, Zhejiang, Jiangxi, Henan, and Shandong. However, localised inundations struck from as far south as the Pearl River to as far north as the Songhua and Yalu Rivers. Affected Population: 52 Million At the time, the University of Nanjing estimated that the flood had affected 25 million people. Li et al. suggest that the true figure may have been closer to 53 million. Across the flood zone an average of 40% became refugees. The highest proportion could be found in South Anhui, where 61% of the population were displaced by floodwater. Duration: 1 year. The physical inundation of the landscape began in the late spring of 1931. Although in most areas floodwater had receded by the winter, the problems of waterlogging, infrastructure damage, and refugee displacement continued well into the next spring. Flood-related famine and epidemic diseases lasted until at least the summer of 1932, whilst those infected with endemic diseases continued to suffer the effects of the flood years after the disaster had abated. Cheng Xiao, Liu Yangdong and Xia Mingfang, Zhongguo jindai shi da zaihuang (The ten great famines of China’s modern period) (Shanghai: Shanghai renmin chubanshe, 1994), p203. On the effect of climate on flooding see Zhang Qiang, Marco Gemmer and Chen Jiaqi , “Climate Changes and Flood/Drought Risk in the Yangtze Delta, China, During the Past Millennium,” Quaternary International 176-177 (2008): pp. 62-69. On Hubei see Pierre-Étienne Will, ‘State Intervention in the Administration of a Hydraulic Infrastructure: The Example of Hubei Province in Late Imperial Times’, in The Scope of State Power in China, ed. by Stuart R. Schram (Hong Kong: Chinese University press, 1985). 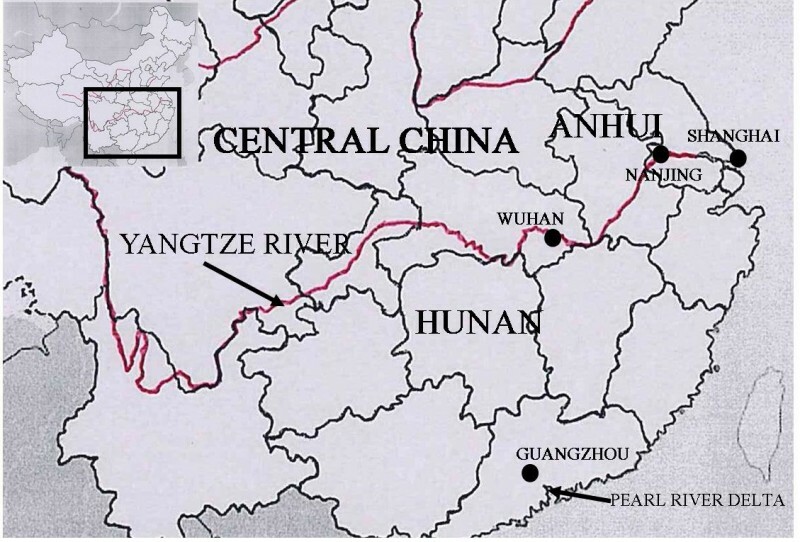 Yin Hongfu, Liu Guangrun, Pi Jiangao, Chen Guojin and Li Changan, “On the River–Lake Relationship of the Middle Yangtze Reaches,” Geomorphology 85 (2007): 197–207. On Hunan see Peter C. Perdue, Exhausting the Earth: State and Peasant in Hunan, 1500-1850 (Cambridge, Massachusetts: Harvard University Press, 1987). Zhang Jiayan, Coping with Calamity: Environmental Change and Peasant Response in Central China, 1736-1949 (Vancouver: University of British Columbia Press, 2014). William Barrett, The Red Lacquered Gate: The Early Days of the Columban Fathers and the Courage of its Founder Fr. Edward Galvin (New York: Sheed and Ward, 1967), p. 265. John Lossing Buck eds. The 1931 Flood in China: An Economic Survey, (Nanking: The University of Nanking, 1932), p.8. Buck, The 1931 Flood, p.35. Amartya Sen, Poverty and Famines: An Essay on Entitlement and Deprivation (Oxford: Oxford University Press, 1981). Edmund Clubb, Communism in China: As Reported from Hankow in 1932 (New York and London: Columbia University Press, 1968), p.104. David A. Pietz, Engineering the State: The Huai River and Reconstruction in Nationalist China, 1927-1937 (London: Routledge, 2002), p68. Ouyang Tieguang, ‘Zaihuang yu nongmin de shengcun weiji——yi 20 shiji 30 niandai qianqi changjiang zhong xiayou diqu wei zhongxin (Famine and Peasant Crisis Survival － The Middle Yangzi Region in the 1930s)’, 7 (2006). Buck, The 1931 Flood, p.33. Xie Qianmao, Yijiusanyi nian Hankou dashui ji (The Great 1931 Hankou Flood) (Hankou: Hankou jianghan yinshuguan, 1931), p.107. Ka-Che Yip, “Disease, Society and the State: Malaria and Healthcare in Mainland China,” in Disease, Colonialism, and the State: Malaria in Modern East Asian History, ed. Ka-Che Yip, 103-120 (Hong Kong: Hong Kong University Press, 2009), p.104. Pi Mingxiu eds. Wuhan tongshi: Minguo juan (xia) (A Comprehensive History of Wuhan: The Republican Period (Part Two) (Wuhan: Wuhan Chubanshe, 2006), p.222. Buck, The 1931 Flood, p.37. For a classic study of this organization see Andrew James Nathan, A History of the China International Famine Relief Commission (Cambridge, Mass. : Harvard University Press, 1965). Lillian M. Li, Fighting Famine in North China: State, Market, and Environmental Decline, 1690s-1990s (Stanford: Stanford University Press, 2007), p.306. NFRC, pp. 114, 124, 110, 138-139. Margherita Zanasi, Saving the Nation: Economic Modernity in Republican China (Chicago and London: The University of Chicago Press, 2006). Buck, The 1931 Flood, p.44. John Hope Simpson, “Hope Simpson to F.B. Bourdillon” February 23rd 1932 John Hope Simpson Papers, Folder 6 (i), Balliol College Archives, Oxford; North China Herald, “Wuhan Cities Faced With Famine Conditions” August 25th 1931. Pietz, Engineering the State, pp. 65-68; Qiu Huafei, “1931 nian Zhong-Mei xiaomai jiekuan deshi yanjiu (A Study of the 1931 Sino-American Wheat Loan Issue)” Jianghai xuekan, no. 2 (2001). The Chinese Recorder, November, 1932: 667 – 680; Zhang Bo, “Lun zhengfu zai zaihuang jiuji zhong de zuoyong – yi Wuhan 1931 nian shuizai wei ge’an de kaocha (An Examination of the Effectiveness of Government Disaster Relief – Using the Wuhan flood 1931 as a Case Study).” Jianghan Tribune, December 2006: pp.87-90. Similar low level relief had continued to play an important role in famine relief in the early 1920s see Pierre Fuller, ‘North China Famine Revisited: Unsung Native Relief in the Warlord Era, 1920-21’, Modern Asian Studies, 47 (2013), pp.820-50. NFRC, p.62. Edmund Clubb, “The Floods of China, a National Disaster,” Journal of Geography 31 (January/December 1932): 205-206. Clubb, Communism in China, p.105. Contemporary media reports contain numerous descriptions of such behavior see for example Guo Jingrong, Guo wen zhoukan 8, no. 36 (1931). In Zhongguo wusheng dianying juben (Scripts of Chinese silent films), ed. by Peiwei Zheng and Guiqing Liu (Beijing: Zhongguo dianying chubanshe, 1996). Alley, Rewi. Man Against Flood: A Story of the 1954 Flood on the Yangtse and of the Reconstruction That Followed It. Peking: New World Press, 1956. Buck, John Lossing, ed. The 1931 Flood in China: An Economic Survey. Nanking: The University of Nanking, 1932. Buck, Pearl S. The First Wife and Other Stories. London: The Albatross, 1947. Clubb, O. Edmund. Communism in China: As Reported from Hankow in 1932. New York and London: Columbia University Press, 1968. Clubb, O. Edmund. “The Floods of China, a National Disaster.” Journal of Geography 31 (January/December 1932): 199-206. Deng Tuo [Original published under the name Deng Yunte]. Zhongguo jiuhuang shi (A History of Chinese Famine Relief). Shanghai: Shangwu Yinshuguan, 1937. Ding Ling. Shui (Water). Ding Ling quanji 3. (The Collected Works of Ding Ling Vol 3. ), edited by Zhang Jiong. Shijiazhuang: Hebei Renmin Chubanshe, 2001 . Hubei sheng yijiusanyi nian shuizai dang’an xuanbian (Selected documents relating to the 1931 flood in Hubei Province). Wuhan: Hubei Provincial Archives, 1999. Liang, M.T. “Combatting the Famine Dragon.” News Bulletin (Institute of Pacific Relations), April 1928. Lindbergh, Anne Morrow. North to the Orient. USA: Tess Press, 2004 . National Flood Relief Commission 1931-1932. Report of the National Flood Relief Commission 1931-1932. Shanghai, 1933. Todd, Oliver J. Two Decades in China. Ch’eng Wen Publishing Company, 1971. Tu Deshen, and Yang Zhichao. “Wuhan Longwang Miao de bianqian (The Transformation of Wuhan’s Dragin King Temple)” Hubei wenshi 3 (2003). Tu Wangchang. “On the Relation between the Great Flood of 1931, The Drought of 1934 and the Centres of Action in the Far East.” Guoli Zhongyang yanjiu yuan qixiang yanjiu suo jikan 10 (1937). Wu Changzhe and Wu Liande. Haigang jianyi guanli chu baogao shu (Report of the Maritime Quarantine Office). Vol. 2. Shanghai: Shanghai tushuguan cangshu, 1932. Xie Qianmao. Yijiusanyi nian Hankou dashui ji (The Great 1931 Hankou Flood) Hankou: Hankou Jianghan Yinshuguan, 1932. Yorke, Gerald. China Changes. London: Jonathan Cape, 1935. Borowy, Iris. “Thinking Big: League of Nations Efforts towards a Reformed National Health System in China.” In Uneasy Encounters: The Politics of Medicine and Health in China 1900-1937, edited by Iris Borowy. Frankfurt and New York: Peter Lang, 2009. Chen, Janet Y. Guilty of Indigence: The Urban Poor in China, 1900-1953 . Princeton: Princeton University Press, 2012. Clubb, O. Edmund, Twentieth Century China. New York: Columbia University Press, 1964. Fang Choumei. “Difang bizhi, shizheng pianshi yu yijiusanyi nian Hankou da shuizai (Dike Mismanagement, Municipal Government Mistakes and the 1931 Hankou Flood).” Renwen luncong, Zhongguo shehui kexue chubanshi), 2008. Yu Fengling, Chen Zhongyuan, Ren Xianyou, Yang Guifang. “Analysis of Historical Floods on the Yangtze River, China: Characteristics and Explanations.” Geomorphology 13 (2009): 210–216. Wuhan wenshi ziliao (Wuhan Literary and Historical Materials). Vol. 13. Wuhan: Hubei Sheng Wuhan Shi Wenshi Ziliao Yanjjiu Weiyuanhui, 1983. Jiang Tong, Zhang Qiang, Zhu Deming, and Wu Yijin. “Yangtze floods and droughts (China) and teleconnections with ENSO activities (1470–2003).” Quaternary International, no. 144 (2006): 29–37. Jiang Zhuping, ed. Hubei shengzhi (Gazetteer of Hubei Province). Wuhan: Hubei renmin chubanshe, 1996. Kueh, Y. Y. Agricultural Instability in China, 1931-1990: Weather, Technology, and Institutions. Oxford: Oxford University Press, 1995. Li, Lillian M. Fighting Famine in North China: State, Market, and Environmental Decline, 1690s-1990s. Stanford: Stanford University Press, 2007. Li Qin. “Sanshi niandai shuizai dui zaimin shehui xinli de yingxiang – yi liang Hudiqu wei li (The Impact of Flooding Upon the Social Pschology of Refugees in the 1930s – Using the example of Hubei and Hunan).” Jianghan Tribune 3. (2007): 101-103. Lipkin, Zwia. Useless to the State “Social Problems” and Social Engineering in Nationalist Nanjing, 1927-1937. Cambridge MA: Harvard University Press, 2006. Lu Hanchao. Street Criers: A Cultural History of Chinese Beggars. Stanford: Stanford University Press, 2005. Ouyang Tieguang. “Zaihuang yu nongmin de shengcun wiiji——yi 20 shiji 30 niandai qianqi changjiang zhong xiayou diqu wei zhongxin. (Famine and Peasant Crisis Survival – The Middle Yangzi Region in the 1930s)” Huaihua xueyuan xuebao 7 (2006 ). Perdue, Peter C. Exhausting the Earth: State and Peasant in Hunan, 1500-1850. Cambridge, Massachusetts: Harvard University Press, 1987. Pietz, David A. Engineering the State: The Huai River and Reconstruction in Nationalist China, 1927-1937. London: Routledge, 2002. Qiu Huafei, “1931 nian Zhong-Mei xiaomai jiekuan deshi yanjiu (A Study of the 1931 Sino-American Wheat Loan Issue)” Jianghai xuekan 2 (2001). Sha Qingqing. “Xinyang yu Quanzheng: 1931 nian Gaoyou ‘Da Chenghuang’ Fengchao zhi Yanjiu. (Faith and the fight for power: researching the 1931 ‘Beat the City God’ movement in Gaoyou )” Jindaishi Yanjiu 1 (2010). Song Jie. “Changes in Dryness/Wetness In China During the Last 529 Years.” International Journal of Climatology 20 (2000): 1003–1015. Song Lingling, ed. Wuchang xianzhi (Gazetteer of Wuchang County). Wuhan: Wuhan daxue chubanshe, 1989. Tang Jian, ed. Hongan Xianzhi (Gazetteer of Hongan County). Shanghai: Shanghai renmin chubanshe, 1992.
van de Ven, Hans J. War and Nationalism in China 1925-1945. London and New York: Routledge Curzon, 2003. Wang Lin. “Ping 1931 nian Jiang-Huai shuizai jiuji zhong de Meimai jiekuan (The role of the US Wheat Loan in the 1931 Yangzi-Huai Flood Relief Effort).” Journal of Shandong Normal University 56, no. 1 (2011). Wang Shaowu. “Reconstruction of El Niño Chronology for the Last 600 Years.” Meteorologica Sinica 6, no. 1 (1992): 47-57. Will, Pierre-Étienne. “State Intervention in the Administration of a Hydraulic Infrastructure: The Example of Hubei Province in Late Imperial Times.” In The Scope of State Power in China, edited by Stuart R. Schram. Hong Kong: Chinese University press, 1985. – “Une cycle hydraulique en Chine: La province du Hubei du xvle au xixe siècles (A hydraulic cycle in China: The province of Hubei from the sixteenth through nineteenth centuries).” Bulletin de l’école Française d’Extreme Orient 68 (1980): 261–288. Wu Jiping. Hanyang xianzhi (Gazetteer of Hanyang County). Wuhan: Wuhan chubanshe, 1989. Wu Yijin, William A. Gough, Jiang Tong, Wang Xuelei, and Jin Weibin. “The Trend and Fluctuation of Historical Floods in the Middle Reaches of the Yangtze River.” Wuhan University of Natural Sciences 8 (2003): 91-94. Wu Zongmo, and Wang Weichun, Wuhan difangzhi (Gazetteer of Wuhan). Wuhan: Wuhan fangxun zhihuibu bangongshi, 1986. Xia Mingfang. Minguo shiqi ziranzaihai yu xiangcun shehui (Natural Disasters and Rural Society in Republican China). Beijing: Zhonghua Shuju, 2000. Xu Mingting. “Fangxun xianduan longwangmiao. (Flood protection danger zone— the Dragon King Temple )” In Wuhan zhanggu, edited by Xiao Zhihua and Yan Changhong Yan. Wuhan: Wuhan chubanshe, 1994. Y.-J. Wu, W. A. Gough, T. Jiang, and H.T. Kung. “The Variation of Floods in the Middle Reaches of the Yangtze River and its teleconnection with El Niño events.” Advances in Geosciences, February 2006: 201-205. Yan Changhong. “Dashui chongle Longwangmiao – jindai Wuhan dashui zai (A great flood inundates the Dragon King Temple – modern Wuhan’s large flood disasters).” In Wuhan zhanggu, edited by Xiao Zhihua and Yan Changhong Yan. Wuhan: Wuhan chubanshe, 1994. Yan Gao. “Transformation of the Water Regime: State, Society and Ecology of the Jianghan Plain in Late Imperial and Modern China.” Unpublished Thesis. Carnegie Mellon University, 2012, 24-April. Yan Zhongwei, Ye Duzheng, and Wang Cun. “Climatic Jumps in the Flood/Drought Historical Chronology of Central China.” Climate Dynamics 6 (1992): 153-160. Ye Zhiguo. “Big Is Modern: The Making of Wuhan as a Mega-City in Early Twentieth Century China, 1889-1957.” Unpublished Thesis, University of Minnesota, 2010. Yu Fengling, Chen Zhongyuan, and Ren Xianyou. “Analysis of Historical Floods on the Yangtze River, China: Characteristics and Explanations.” Geomorphology 113 (2009): 210–216. Zanasi, Margherita. Saving the Nation: Economic Modernity in Republican China. Chicago and London: The University of Chicago Press, 2006. Zhang Bo. “Lun zhengfu zai zaihuang jiuji zhong de zuoyong – yi Wuhan 1931 nian shuizai wei ge’an de kaocha (An Examination of the Effectiveness of Government Disaster Relief – Using the Wuhan flood 1931 as a Case Study).” Jianghan Tribune, December 2006: 87-90. Zhang Jiayan. Coping with Calamity: Environmental Change and Peasant Response in Central China, 1736-1949. Vancouver: University of British Columbia Press, 2014. – “Environment, Market, and Peasant Choice: The Ecological Relationships in the Jianghan Plain in the Qing and the Republic .” Modern China 32, no. 1 (2006): 31-63. – “Water Calamities and Dike Management in the Jianghan Plain in the Qing and the Republic.” Late Imperial China 27, no. 1 (June 2006): 66-108. Zhang Qiang, Xu Chongyu, Jiang Tong, and Wu Yijin. “Possible influence of ENSO on annual maximum streamflow of the Yangtze River, China.” Journal of Hydrology 333 (2007): 265– 274. Zhang Qiang, Liu Chunling, Xu Chong-yu, Xu Youpeng, and Jiang Tong. “Observed trends of annual maximum water level and streamflow during past 130 years in the Yangtze River basin, China.” Journal of Hydrology 324 (2006): 255–265. Zhang Qiang, Marco Gemmer, and Chen Jiaqi. “Climate Changes and Flood/Drought Risk in the Yangtze Delta, China, During the Past Millennium.” Quaternary International 176-177 (2008): 62-69.